When a story idea comes to life, it is an amazing thing. I’ve been plotting and brainstorming for the past five days, and today I finally had a breakthrough. It wasn’t the aha moment you might typically think of. It was more a case of me pushing so so so hard and refusing to let go of an idea. This breakthrough was like the process of untangling an entire skein of yarn. And if you know me at all, you know how I loathe untangling things (I get my husband to do it for me). I’ve been working up this idea for the Author Strong Podcast‘s short story competition, and while I had the setting, the characters, and even the main character’s goal and resolution from day one, there was a piece of the puzzle I was missing. It was the why/how of my two characters meeting. Char needs milk, and he needs Beckett’s help to get it, but why does she help him, and how does that play out? I didn’t write at all this morning or afternoon. I refused to even look at my WIP (the Flawed short story) because I had to answer this question. I literally did nothing but work on it (read: stare at the wall and think about it) until around 4:00pm (at which point I still didn’t have an answer). Finally, when I was in the middle of working on dinner, I was able to work the question out in my mind and come up with an answer. Whew! And tonight, I started writing the story. I am love, love, LOVING this story. It sounded great in my head, yeah, but now that it has life–wow. It’s turning out better than I’d imagined. My only fear is that it will be difficult to keep it within the 6,000 word limit. I’m at about 2500 right now, but there’s a lot of action yet to come. It may need a considerable amount of trimming. There’s a LOT of world building I have to do in just this short window, which is what makes it difficult. I’m trying to include just the minimal, and to do it within action/dialog/scene but there are things that have to be explained or else the readers just won’t get what’s going on. I’m not even playing in an already existing trope, so it’s all gotta come from scratch. But that’s okay. Right now I’m just getting it written. I can cut later. Huh, that sounds a lot like what I said yesterday. 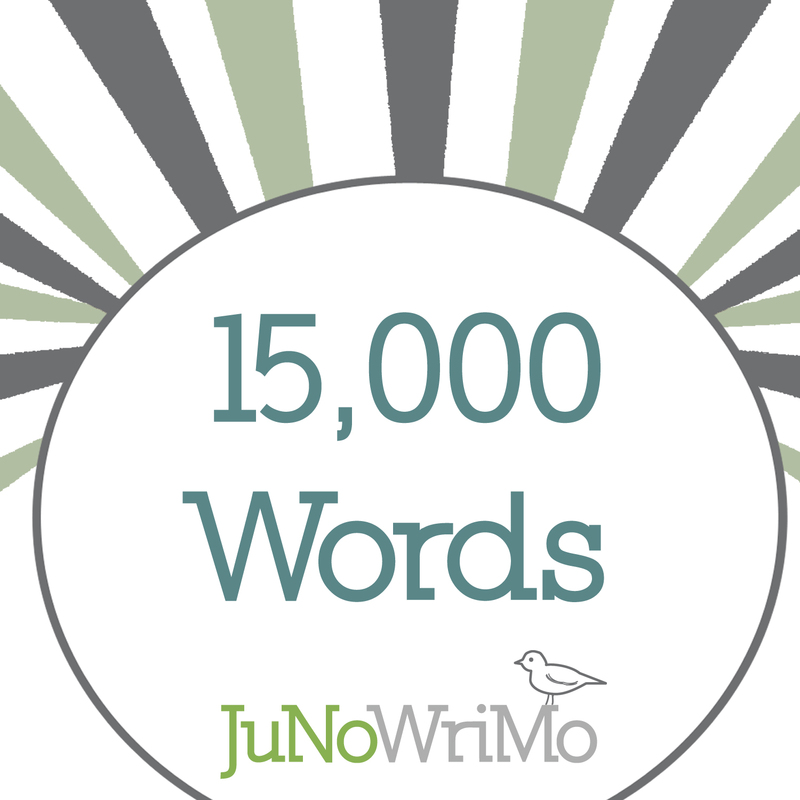 In other news, my JuNoWriMo total passed 15K today. Current word count: 16,082. I’m still ahead of where I want to be. This entry was posted in JuNoWriMo, Writing and tagged #amwriting, 2015, Author Strong Podcast, book, challenge, competition, flawed, June Novel Writing Month, JuNoWriMo, NA, New Adult, paranormal, sub-normal, suspense, thriller, urban fantasy, write, writer. Bookmark the permalink.